With Diwali around the corner, everyone is busy preparing their homes. It is one of the most vibrant festivals of our country. People perform puja, make sweets, decorate their homes and have a great influx of visitors on this occasion. Replacing everything old with new can be quite expensive, but few DIY (Do It Yourself) ideas can give a new life to your living room. Here’s a look at 5 DIY ideas to take note of this festive season. Festive season means plenty of discount offers by great brands. This is a good time to replace old furniture. If that is expensive, then consider changing the fabric of your cushion, to brighten up the overall look. Opt for colors that accentuate the walls. You could also rearrange the living room set-up. Sofa can be moved closer to the walls and coffee table could be moved in the center, creating an illusion of bigger space. An empty wall can make a room look monotonous. Dress up your living room walls with easy but effective DIY ideas; such as beautiful wallpapers or wall hangings. There are plenty of affordable options available in them. You could paint the living room walls in colors of your choices; just remember that certain colors can make spaces seem smaller than they are. Give some preference to local handicrafts or traditional patterns and designs. Add paintings, self-made wall arts, fairy lights, and lamps etc. for a dash of good spirit. If you are planning to re-arrange the furniture to create space, adding accessories will complete the look. Consider ideas like new curtains, cushions, potted plants, rugs and exotic carpets for easy designing of the living room area. Antique vases, side tables, scented candles and other glassware can be added to enhance the overall look. Remember not to go overboard; over-crowding can spoil the look. Diwali is festival of lights and is incomplete without proper lighting. Traditional lamps (diyas) are the first choice; nowadays they are also available with infused LED lights. Replace all old incandescent bulbs with LED bulbs, as they save energy and don’t produce much heat. 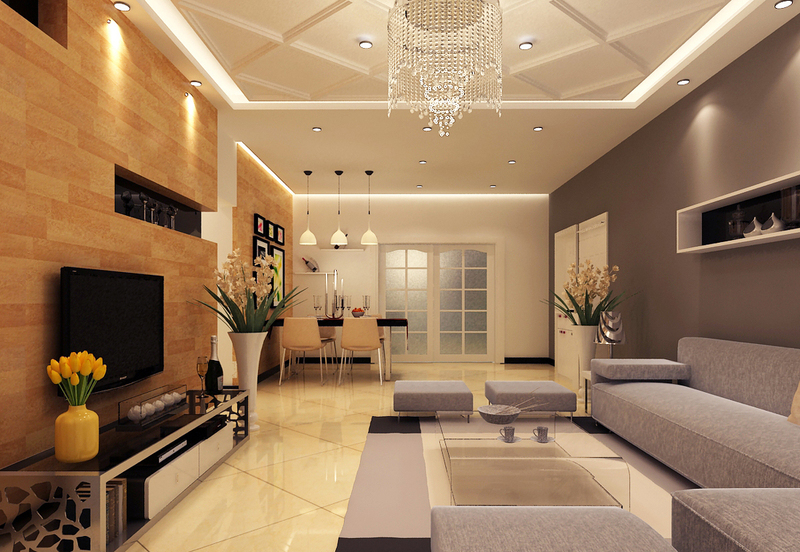 A bright chandelier would be a good option, or a stained-glass lamp for that modern look. Lanterns and small light domes can be used to lighten up windows and entrances. Pollution levels usually rise at this time of the year. So plants could be a useful addition to your décor. Studies have proved that, presence of plants in your house not only improves the décor but also filters the air, adds color and can have a calming and relaxing effect on people. You can choose from a number of plants like Parlor Palm, English Ivy, Snake Plants, Aloe Vera, and Spider Plants among many others. How about bamboo stems on your coffee table or in a corner of your living room? Create a biophilic environment right at home. These were some of the DIY ideas for your living room. The best options always come in a unique blend of style and comfort. Next PostAre rising interest rates affecting your home buying decision?